A pair of con artists attempt to swindle an heiress out of her family fortune. Coming off the back of a string of commercial failures, the combined talents of Warren Beatty and Jack Nicholson in a period farce must have seemed like a crackerjack idea. Emulating the likes of The Sting, but with an emphasis on sexual braggadocio and jet-black comedy, The Fortune tanked on release and now seems like a footnote in the illustrious careers of all concerned. So, is The Fortune an unheralded classic worthy of reassessment? In a word, no. It's by no means a bad film, just a decidedly average one. The period setting is bang on and everyone is working hard, but that’s part of the problem. Screwball and farce need to appear effortless; Katherine Hepburn and Cary Grant may have been working their individual asses off to be that good, but it never looked anything but elegant and graceful on screen, like a comedic dance gliding from set-piece to set-piece. No amount of non-sequitur Nicholson gurning on the wing of a plane is going to top that. The film is too nice when it should be dark and nasty, using as the premise a piece of arcane legislation called 'The Mann Act', which prohibits a man from taking a woman across state lines for the purpose of immoral relations. Nicky (Beatty), who is already married, hits on the idea of using Oscar (Nicholson) to marry his mistress, Freddie (Stockard Channing), so that he can continue his relationship with the ‘mouse blanket’ millionaire heiress across state lines. Like most ménage a trois, what starts as fun ends up getting messy. Running at a sparse 90 minutes, the film should gallop when it just seems to dawdle from one set-piece to the next after a strong opening which sees Oscar surplus to requirements after the wedding, only there to give substance to the nuptial ruse. Just playing the role of the husband is not enough; he wants to take a more active part than just being a cuckold in the marital sham, a fit of pique that could throw a spanner in the works and put the gaze of the law onto them. The trouble is we don’t know much about the protagonists. Are Oscar and Nicky friends, partners or business acquaintances? Or did he find him in the 1920s equivalent of Craigslist? Freddie being an heiress is thrown into the mix relatively late in the story. Nicky may have a wife but she is barely mentioned and his relationship with Freddie appears genuine, so why do his thoughts turn to murder so easily? Oscar's attempts to put a wedge between the relationship are bizarrely funny (it’s a bold move to try and woo someone with a baby chicken) and shows a rivalry and disdain for Nicky that would work better if we knew a little bit more about the pair. Why then do they team up to bump Freddie off to get at her inheritance? Lazy and bumbling though they are, the film is too generous with them. Calculating evil can be fun, but the film doesn’t have the balls to embrace this avenue wholeheartedly, letting everyone off the hook in a climax that is more of a shrug than an ending. Director Mike Nichols is in love with his actors as much as Beatty and Nicholson are in love with each other. A film with this level of star wattage can never be all bad, but this fits into the territory of films that were a lot more fun to make than they are to watch. Everyone is playing in period dress up but no one is taking it seriously. The Mann Act is a neat hook but ends up just window dressing to Beatty and Nicholson's ersatz Laurel and Hardy routine. You want the California sunshine to be a hiding place for the venal and festering souls of a couple of asinine killers. The War of the Roses shows how humour of the darkest shade can arise from marital strife and breakdown. This wants you to like its would be murderers as much as Nichols likes his leads. In the end you get a few good set-pieces looking for a narrative lead. 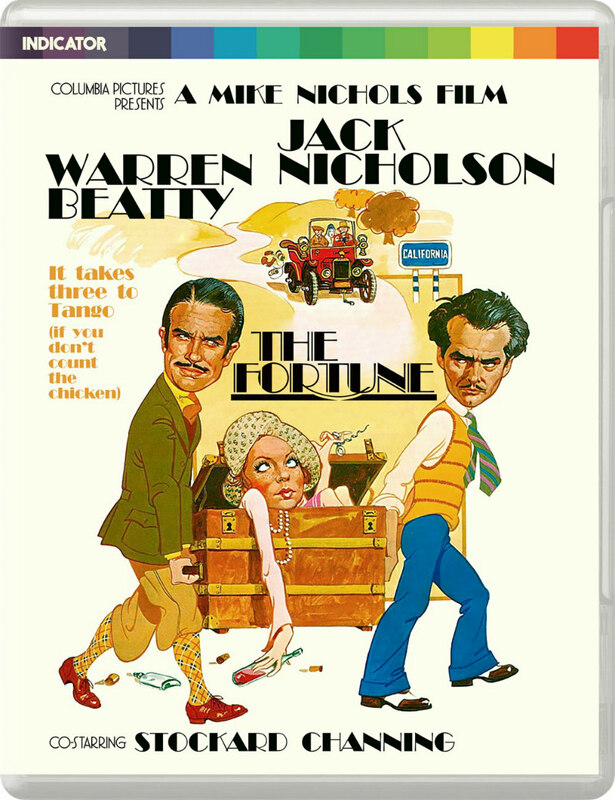 The Fortune looks good and passes the time in an amiable manner, but with the cast and crew involved it has to go down as a failure. There’s a great hour chat with Elaine May and Mike Nichols in conversation, taking place after a showing of Ishtar; this does tend to skew more towards May than Nichols though. Kyle Stevens gives a short appreciation of the film, but his discussion of gender fluidity in the film doesn’t really hold up to close analysis. An isolated music track and image gallery, in addition to a 32-page booklet with essays and discussion from Nichols, Beatty and Channing as well as a brief portrait of Carole Eastman. Film critic Nick Pinkerton is on commentary duties. 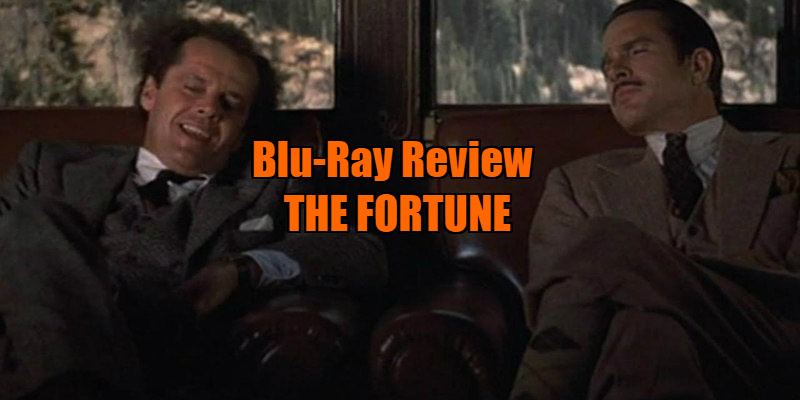 The Fortune is on blu-ray now from Indicator Films.